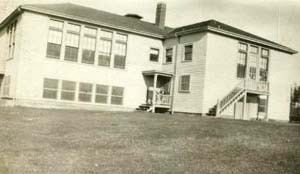 The McKenna school has a most unique place in the story of education in Yelm. 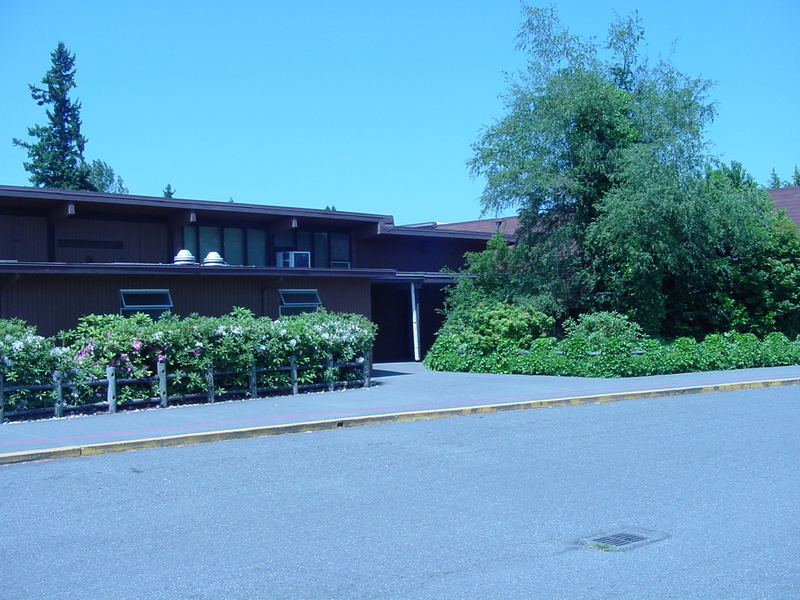 Beginning as the only school in McKenna District #341, the McKenna school became a part of the Yelm district as a result of consolidation. This in itself is not unique. What is unique is that, unlike all of the others schools brought into the Yelm system, McKenna, alone, remained open. As of this writing the origins of the school remain unclear. Most of the information in the following paragraphs comes from several short histories on the school by persons unknown. One of these anonymous writers stated, “Most of the history is told from institutional memory since these little actually documentation.” These essays were found among the scrapbooks of the McKenna PTA. 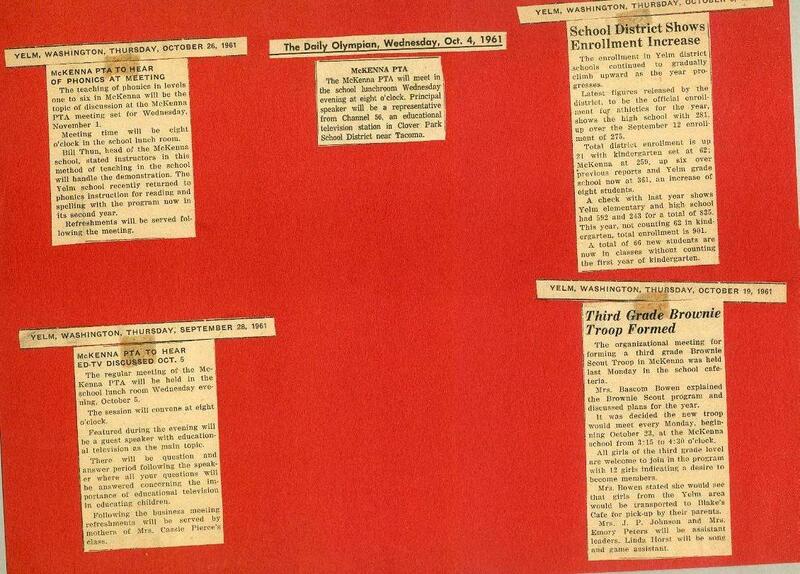 Also found in these papers were a number of news articles related to the school and the PTA. 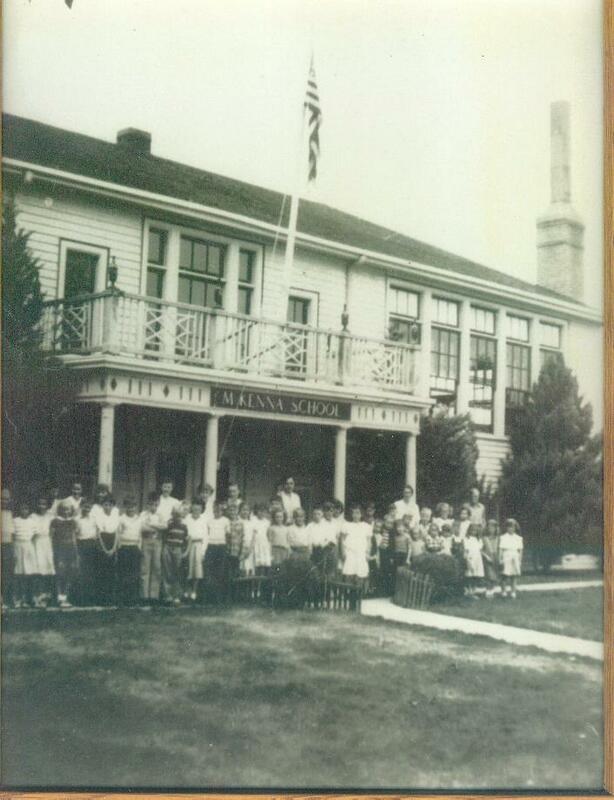 The McKenna school district used to exist on the Pierce County side of the Nisqually River. 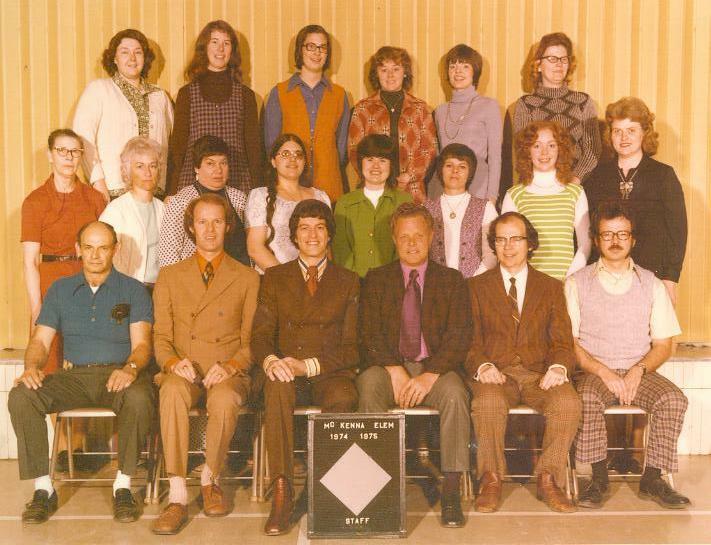 It was speculated (in the 1970’s) that the school began around 1890. Like the Hart’s Lake and Horn schools it serviced a small local population. Unlike those schools the McKenna district eventually became centered in a town. The opening of the Salsich Lumber Company’s mill in McKenna in the 1920’s spawned a thriving community on the banks of the Nisqually with a boarding house for single men and company housing for workers and their families. “Details,” according to one McKenna resident, “about the first building are vague. It is known that it was a wooden structure.” This school burned down in 1919. A replacement was quickly erected for a cost of $10,000. 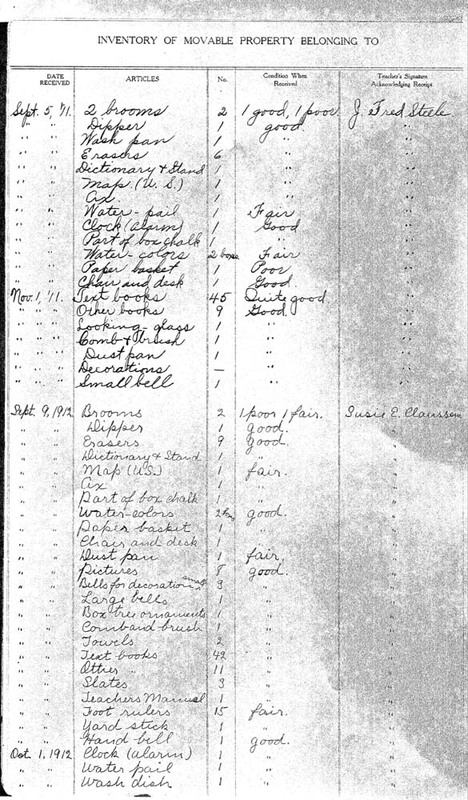 The McKenna notes also mention that the mill owner donated lumber for the reconstruction. 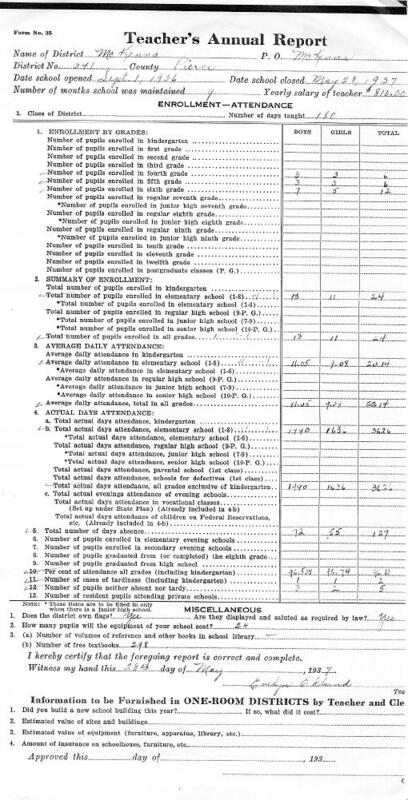 An interesting note in the margin of above information was that “the original boiler from the 1919 [school is still in use today.” (The latter written in the 1970’s) The school taught grades 1 through 8. There were four classrooms and each contained two grade levels of students. William Guilford helped put the McKenna school on the educational map in Washington state. He helped found the McKenna PTA which is considered by some to be the 2nd oldest PTA in the state. He remained at the school until 1918. Sometime during his tenure at McKenna a new school was built. 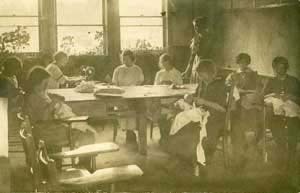 Also at the school at that time (1917) was a teacher Edna Price. J. C. Conine commented in a letter that she drove to work from her family place southeast of Yelm. 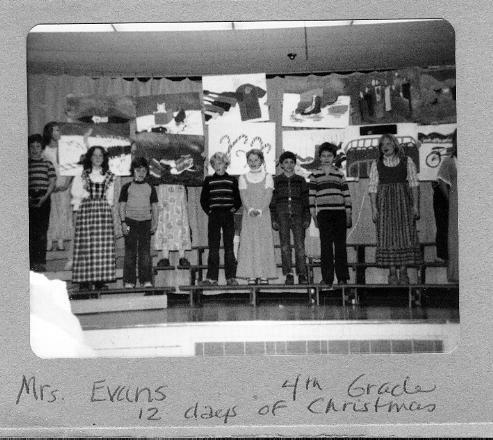 Earl Herness provided the following picture of Edna Price’s classroom. The school continued to serve first through eighth grade students for several decades. With the closure of the mill in town the district’s population stagnated in terms of numbers. As a result of this the McKenna district never had enough students to justify a high school. 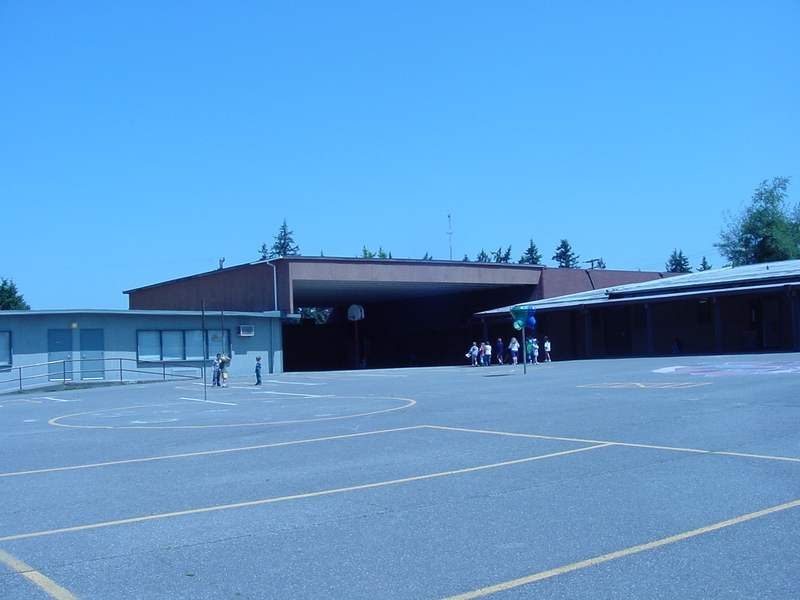 Eventually McKenna formed a “Union High School” with the Yelm school district. This meant that a governing body, separate from the school boards forming the “union” was established to run the new expanded high school. Students from the McKenna area would now be attending the Yelm High School. 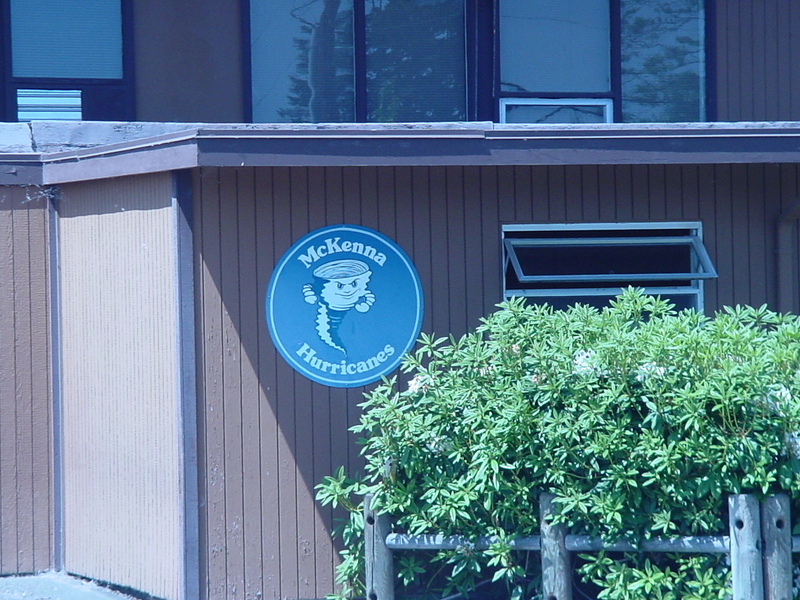 The McKenna school itself remained in its two story configuration until the 1970’s. 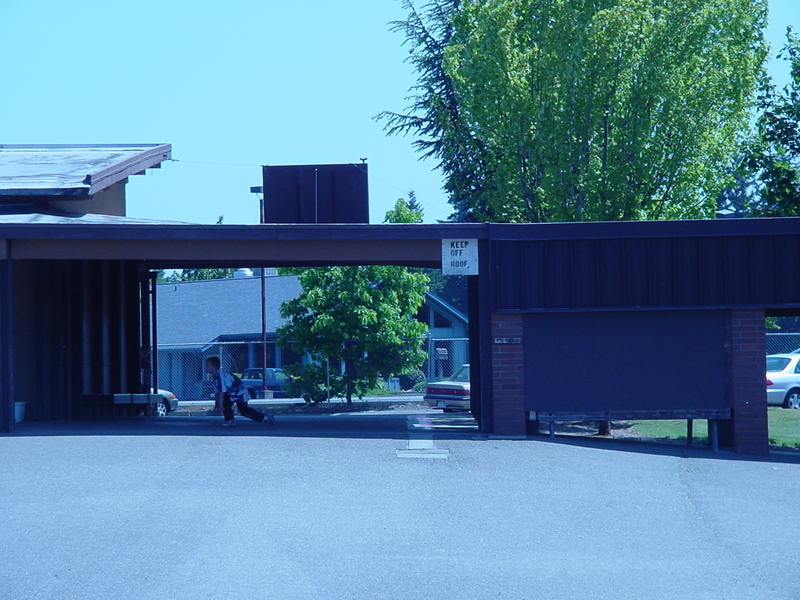 According to notes in the McKenna PTA files, a covered playshed (considered a necessity in Washington’s damp climate) was built by the PTA in the 1960’s. Those notes also state that the new play area was “quickly converted to the administration building (office). That same area became classrooms and bathrooms, then becoming storage and a staff lounge. “C” building was added in the sixties for $45,000. Crowding persisted and portables were brought in. Decades of wear and tear were catching up with the main building which had been built, after all, around 1920. A bond issue was passed by Yelm voters, the original two story building came down, and a new McKenna Elementary was built around some of the additions from the sixties. This remained the McKenna Elementary school for the remainder of the century. A quarter of a century later voters once again approved money for a new school. This McKenna Elementary was torn down in 2004. 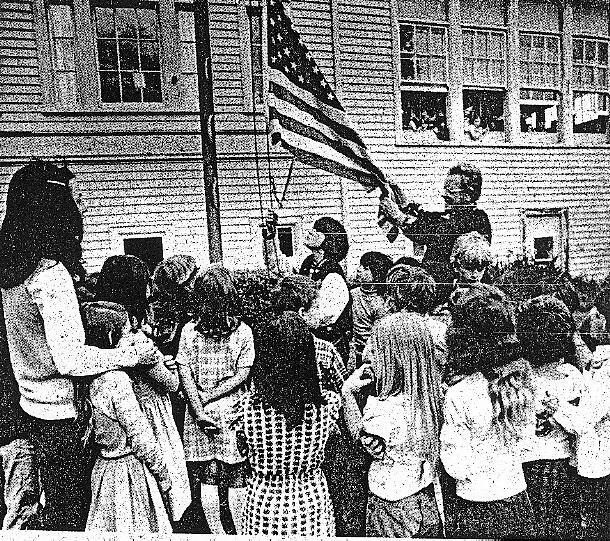 Principal Fred Berry lowers the flag before the remodel in the seventies. 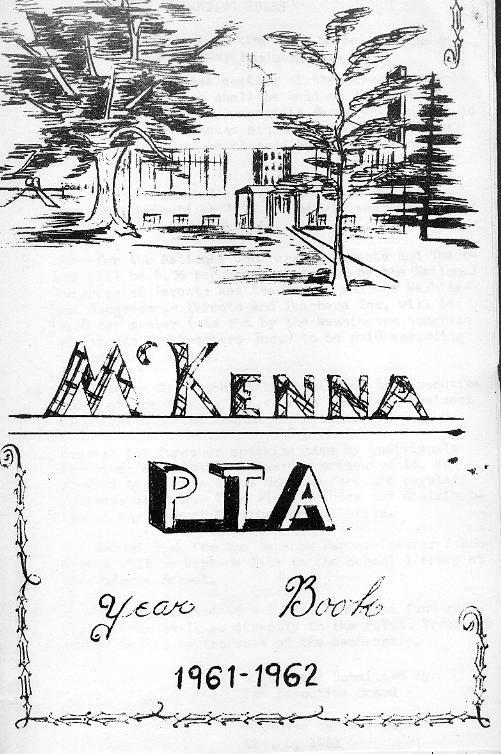 Introduction: In 1982 McKenna PTA members and staff collected information on the history of the school. The following letter sharing some her memories of McKenna was written by Jodie Essman. It was addressed to Sharon Welsh, the principal of McKenna Elementary that year. Hello! 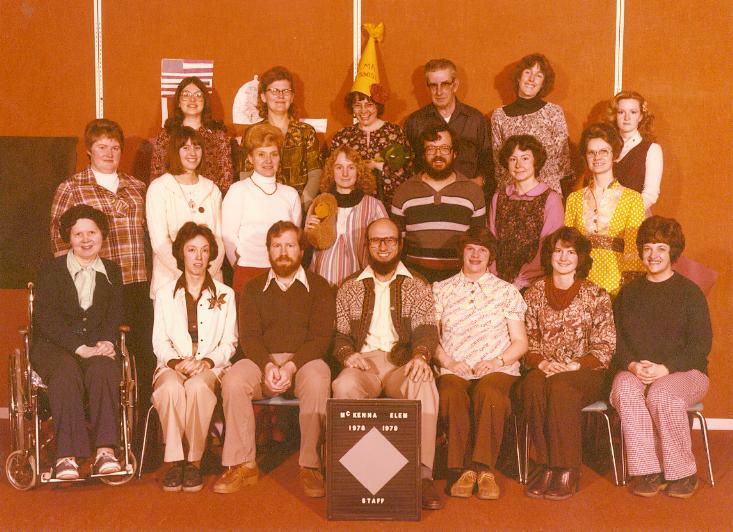 I’m not an “old-timer”; on the contrary, I’m a 1981 graduate. But that doesn’t make me less fond of the McKenna grade-school. I spent the first five years of my school-life there, and I’ll never forget them. It broke me up (literally—I cried) to see them tear down the old buildings and put up new ones. Perhaps it was necessary, I’m not the one to decide that, but I still cried. It was at McKenna that I was in my first movie, directed by Mr. Self, now an accomplished singer/actor. 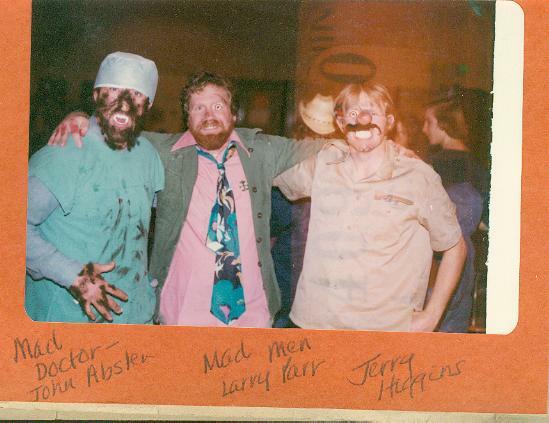 That film is an experience all of my graduation class treasure, and whenever we get together we always relive it. I still remember peaceful, drowsy days right before school let out. During recess we’d play marbles, and baseball on the old baseball field. I remember all the skinned knees and torn leotard that I got jumping off the huge old wings out in back. I hear Mrs. Crumbly (I’m not sure of the spelling) is still the playground supervisor. What fun we had tormenting her! We’d have chicken fights, climb up the slide, and in the winter we had some devils of snowball fights. 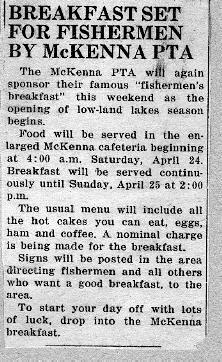 I don’t know much about the ancient history of the old McKenna school, but I do know we were a part of its history, and I know I’ll never forget the good times my friends and I had there. I comment your research project, and hope you are successful in completing a historical record of the school. You said that the children have discovered that history is available in other places than books. I’m glad! Sometime the best place history is to be found in the annals, not of libraries, but of the old-timers’ minds. I’m afraid that most young people don’t realize this, and thus miss a tremendously valuable learning experience. Keep up the good work, and bring old McKenna back to live again. 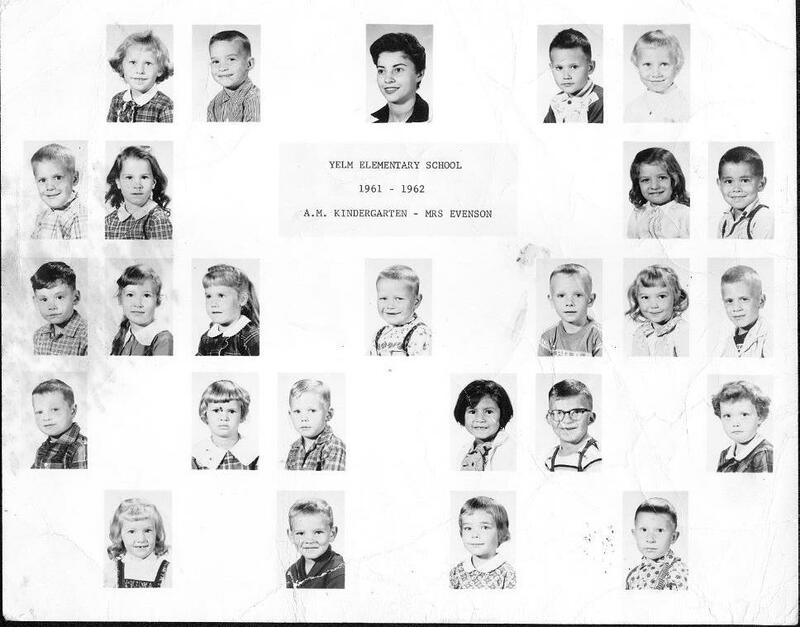 Do you have a copy of Mrs. Driscols 2nd grade class of 1963 I was a student in McKenna at the time. I believe it was Mrs. Driscol although there was another heavy set woman that taught 2nd grade but she had red hair and my teacher had short black hair. If you could email or mail a copy to me that would be terrific. I attended 1-3 from 1962-64. 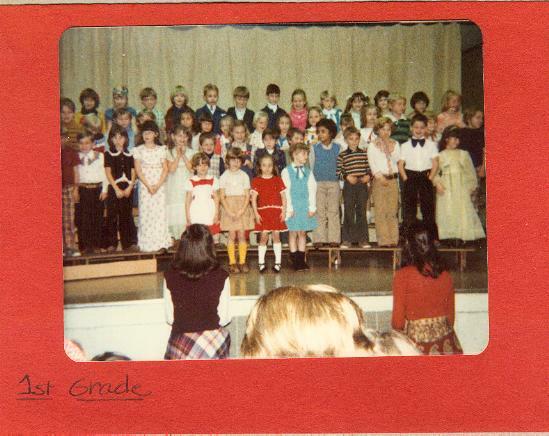 Could you tell me who was the second grade teacher?